Shhhh! This is one of the best kinds of secrets. 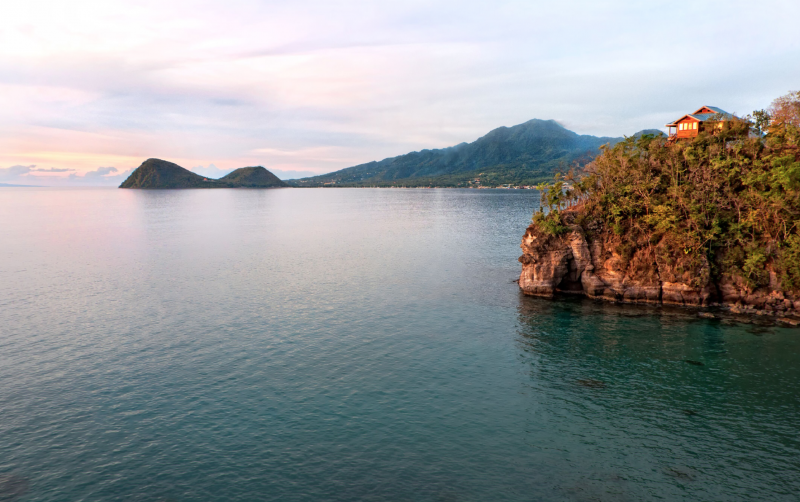 Just a year since Hurricane Maria made landfall on Dominica, the secluded eco-luxury boutique resort Secret Bay is about to come back better than ever. 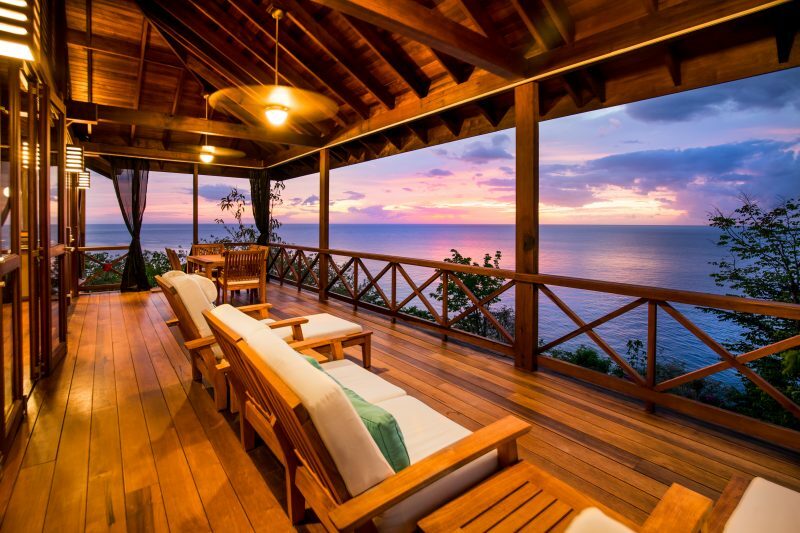 Secret Bay, Dominica’s only five-star resort, is set to welcome back guests on November 1, 2018 with updated villas, one all new villa, and a host of new amenities to create an even more romantic experience. The whole thing began as a love story. 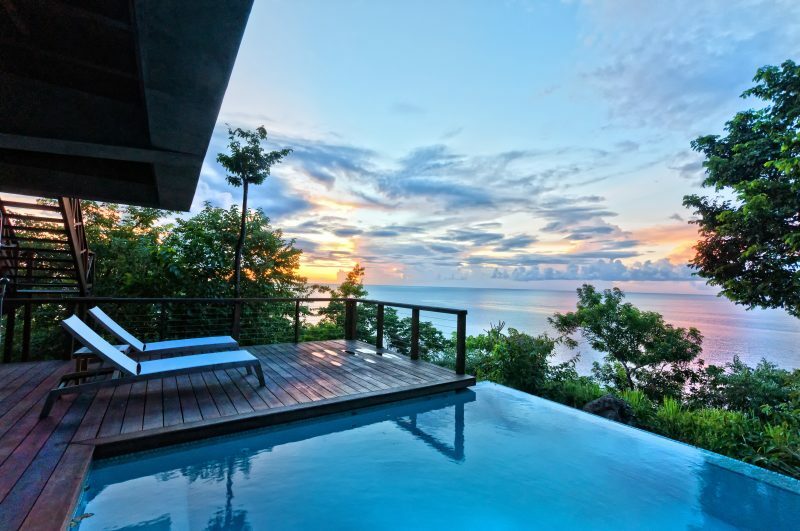 Gregor’s father-in-law, Fruto Vivas, an award-winning Latin American architect, created architectural plans for the boutique resort’s original honeymoon villa as a wedding gift to Gregor and Sandra, his daughter. Now, the secluded and intimate resort carries on the same commitment to its guests as it did from that auspicious beginning — to be the ultimate couples hideaway, with villas perfect for celebrating anniversaries, weddings, a honeymoon or simply time together away from daily life. 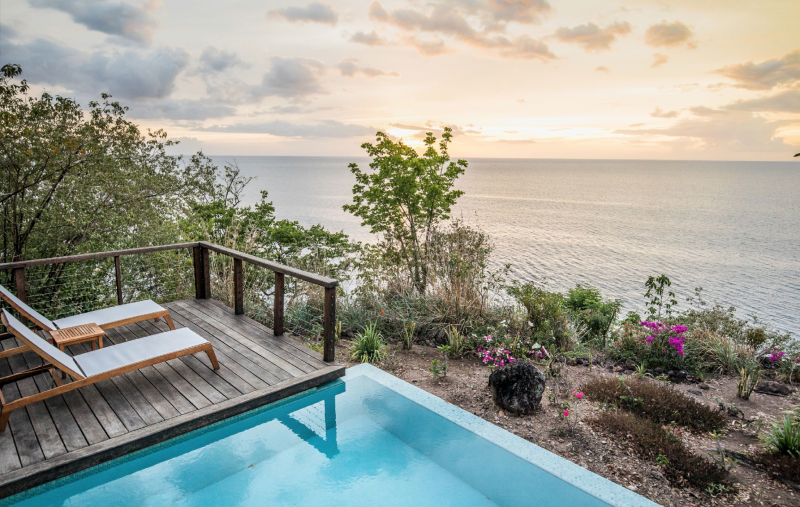 Secret Bay features a limited collection of six secluded and sustainably-crafted villas that are immersed in nature and positioned on a clifftop overlooking the jaw dropping azure Caribbean Sea. 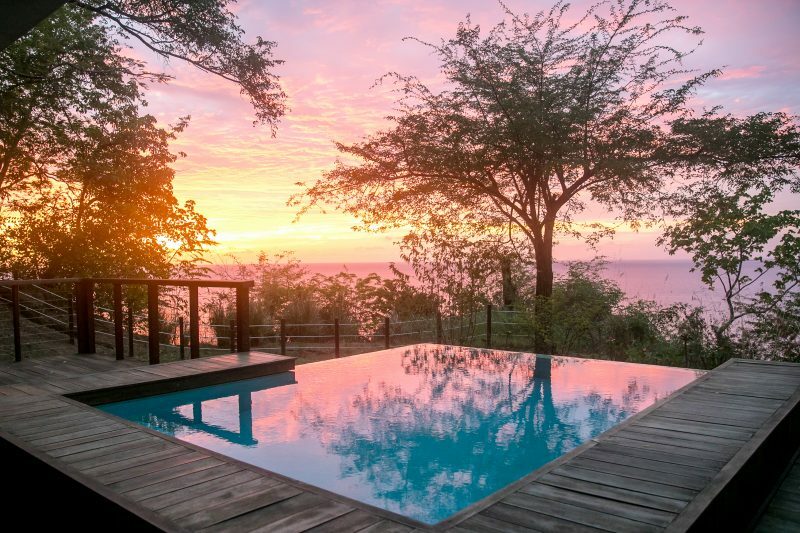 Offerings include transformational experiences, fine dining, wellness facilities, architectural residential-style villas and night and day access to remote beaches… a true five-star hideaway experience. Th renovation now includes a newly constructed yoga, spa and wellness pavilion that will serve as a riverside destination for intimate wellness classes and luxurious spa services. 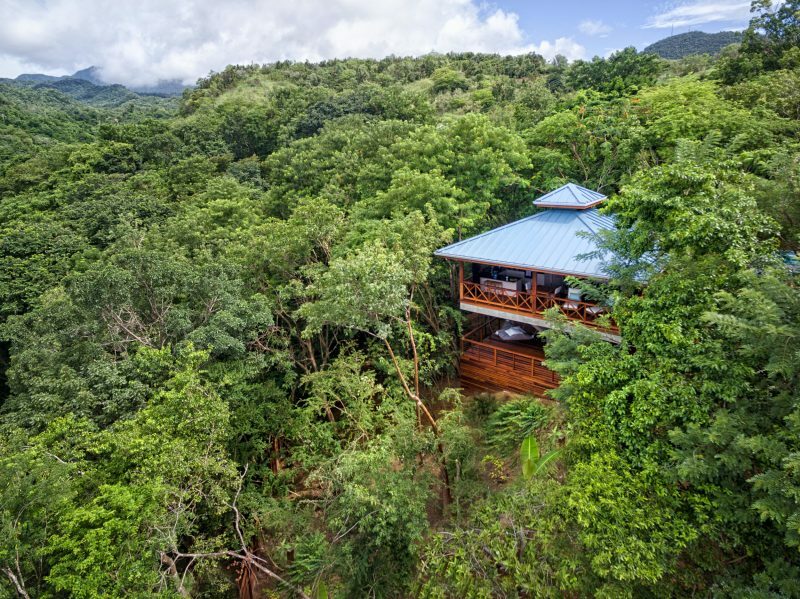 The Gommier Spa will include a private treehouse-style couple’s massage room, while the Bwa Mang Wellness Pavilion will be suspended over the magical Cario river. The resort also now features centrally-located, on site upscale restaurant offering seasonal, locally-sourced fare, breathtaking views and a display kitchen. The restaurant, Zing Zing, will not have a menu; rather, the chef will prepare seasonal dishes based on patrons’ preferences.